A marketing communicator, giving you and your brand a polished outlook. Helping you to get ahead of your game. Kogi born Community Mobilizer Sues for Peaceful Election. Peace and security is germane to a free and fair electoral process. In fact, the United Nations Secretary General recently called upon authorities and national stakeholders to ensure a conducive atmosphere for credible elections. In Nigeria and back home in our Confluence state, one of the critical stakeholders of our election who are under appreciated is the masses, especially the youth. A closer look at incidences of electoral violence will reveal that the violence are one hundred percent of the time committed by this important demographic. This is why it is important for us to appeal to the youth to resist the temptations to sabotage our nation’s election process. Elections must be seen for what it really is. Election is beautiful if it reasonably reflects the will of the people. When the people for whom elections are being conducted are able to attest to the credibility of an election, the government itself would have earned a good degree of legitimacy. Interestingly, a credible election gives the people the courage to demand a better performance from their government. Simply put, a credible poll is germane if a given democracy will amount to anything in terms of development and overall progress and prosperity. A nation will not be truly democratic unless the people are allowed to choose their leaders through a free and fair process. Apart from the June 12 presidential election, the the close we have come in terms of credible polls was the 2015 general election in which the then candidate Muhammadu Buhari won the incumbent Dr Goodluck Ebele Jonathan. The election was reasonably decisive. Back home in the Confluence State, we do not need a smooth and credible electoral process any less than we need oxygen. If not for anything, we will need a process that guarantees the emergence of credible hands who can undo the damage done by some of the past leaders. For instance, the Kabba Ilorin road that has been a shadow of its glorious self is crying for a leadership that will turn its fortunes around. The need for credibility in our election cannot be overemphasized. Ironically, rather than seek loopholes in the actions and words of the president or even INEC, the path to a peaceful election is frankly entirely our business as Kogites. The government of President Buhari has done its bit to ensure that INEC has all that it requires to conduct an election that is free, fair and credible. As the Commander-in-chief, he has also done his bit to ensure that law enforcement officials are available in good numbers to ensure citizens confidence in the process. The remainder of the this responsibility now fully rests on our laps as a people. We must not let ourselves down. Finally, there is an adage in Yoruba that says ‘bí a bá rán ní nisẹ ẹrú, kí a fi tí ọmọ jẹ’. It means if one is sent an irresponsible assignment, one should carry it out with responsibility. This adage cannot be more handy for friends, family and agents of political parties and candidates than now. Everyone of us must know that any sabotage or attempted sabotage on our election amounts to crossing an obvious red line. And apart from the risk of being shot, we should know that history will never be kind to us. It is therefore important that this appeal goes round across our beloved Confluence state and elsewhere across the country. We must evolve a new Nigeria that will get us to our Promised Land. Oshaloto Yemisi writes from Igbaruku Okeri. Yagba West LGA, Kogi State. Dr Audu’s UK sojourn a blessing to Nigeria – Tade. In the summer of 2014, Dr. Aminu Musa Audu was awarded the Mayor of Liverpool Joe Anderson OBE ‘Achievement Award’. This was in recognition of his invaluable contributions to the development of the Liverpool City region and in support of the International Festival for Business, 2014. This recognition was quickly succeeded by other notable achievements stemming from his doctoral research in community policing. 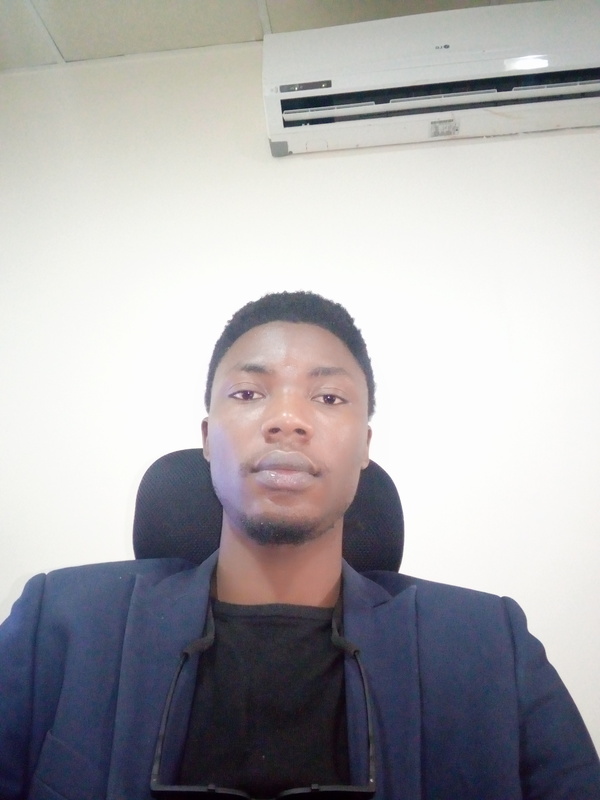 As a brilliant academic, his doctoral research ‘Community Policing: Exploring police/community relationship for crime control in Nigeria’ received a high praise by his assessors and other renowned researchers at the Department of Sociology, Social Policy and Criminology, University of Liverpool, United Kingdom. nity policing is now being established. The institute, the International Institute for Community Policing, IICOPOL is headquartered in the ancient city of Idah in Kogi State, North Central, Nigeria. Dr Audu’s thesis has now been made into a fast-selling book that has become one of the bestselling sociological interventions for the policing systems in Nigeria, Africa and the rest of the world. Through intense research and wide consultation with global stakeholders in global security and community policing, Dr Audu’s book has been hailed as a timely contribution. The title of the book Police Corruption and Community Policing in Nigeria: A Sociological Case Study and is taking the global book distribution by storm. Dr Aminu Musa Audu’s successful development of the Ochamalienwu Theory Of Community Policing marks a major breakthrough in the global quest for efficient policing policy. Since the launch of the book in the UK last year, Amazon and other bookstores have been besieged by orders across the UK, USA, Asia, Africa and elsewhere around the world. This massive demand speaks to the desire of stakeholders in the policing sector to rethink current approach to policing and consider adopting the Community policing option put forward by Dr Audu which recognizes good relationships as essential ingredients for successful policing duties. The establishment of IICOPOL among other objectives is to be a leading global resource Centre of excellence for effective community policing, and security strategies by providing a forum for the mutual exchange and cross-fertilization of ideas on community policing and experiences among members, other institutions, Governmental Departments in Nigeria and other part of the world. This, IICOPOL hopes to achieve, through four thematic areas of Research, Training, Professional Fellowship and Community and Advocacy. Apart from making the long desired peaceful coexistence within and across communities a reality, the emergence of IICOPOL will mark a source of hope of employment for Nigerians particularly the youths as it will meaningfully engage them locally and internationally. Dr. Audu is indeed a shining star both in his home country, Nigeria and around the world. His home country Nigeria must now quit repeating its current approach which has proved fatally ineffective. We must make haste and take advantage of this well researched of community policing policy design by this astute scholar. The book is available on Amazon.com and other major retail bookstores with the cover title of: Police Corruption and Community Policing in Nigeria: A Sociological Case Study. I got a negative remark from one of the officials of post UTME during the early days post jamb CBT at the Kogi State University in 2012. To him, the school was too young and ‘unripe’ for a Computer Based Test. He believed that the status quo of Paper Pencil Test should be be maintained even though it was clear where the world was heading with regard to exams of such nature. Paper Pencil Tests PPTs had become notorious for its susceptibility to errors, accident, inaccuracies, and malice. It boasts of irredeemable levels of corruption. CBT effectively eliminates these anomalies. Yet, here was a young man sticking to his guns. He was literally uncomfortable with the adoption of an innovative means of Mass Assessment. I didn’t write a CBT exam in my time as an admission seeker and even though I did well, I understood a more innovative approach would have eliminated much of what visibly went wrong at the time. As a communication expert, I understand and acknowledge the existence of the late adopters and the laggards. However, it beats me as a rational being, how we practically live in denial of the reality of issues that stare at us in the face. Like my anti CBT acquaintance, the Nigerian state has turned civilization and goodwill on its head by its constant denial of the need for well intentioned and innovatively executed cattle ranching policy. It may be acceptable by law to have herds of cattle literally hold commuters to ‘ransom’ in the city of Abuja; having cows eat up farm produce in Anyigba, but if we are serious about exiting the savagery of our past, if we are true to our emergence as a civilized society, the herding business would have been accorded the truth, sensitivity and innovation it really deserves. Don’t even bring up the cattle colony bs. A government should know better than to throw its society into an intractable mix of interest and counter interest. Today, Dubai, a vast desertland has found an innovative way around cattle rearing. Today, Nigeria, a vast Greenland hasn’t. And we keep praising our rogues in government. Oshaloto Joseph Tade is a strategic communication expert. He writes, speaks and acts. A Kind Reminder to Certain unRepublic. You would notice that across your national space – including health, public service and the military, the spate of Oluwole Credentials have maintained a steady but embarrassing proportions. The story is no different in the political space. There are the (I won’t mention) who have been caught in the act. They became heros as their indictments was meant to be. What this tells us is that the monster of corruption, certificate forgery and theft will never brink unless and until the system that prospers evil is toppled, and abandoned and utterly destroyed. I agree that this is quite hard. It is hard because of the calibration of our current system so much incentivises dishonesty. If not how you in good faith waiver or openly endorse the fact that the highest office in your land is purportedly a beneficiary of this heist. I hold no grudge against the occupier. I’m only eternally opposed to a system that pass me through falsehood before I can achieve my dreams. I also condemn a system that unfairly honors bad actions over and above my good deeds. I reject a system that corrupts me. Under the current reality, corruption is customary. Only recently, a very beautiful lady who is handling financial records was also indicted as owing a vital document in her credentials to the magical Oluwole Office. Now, a very handsome guy from the Fount. Hear ye o Republic, this kind goeth not except by rethinking your union. You see, the incentives for wrongdoing is so lush. So mouth-watering that without a strong moral convictions, everyone is likely going to damn their sense of shame. In any case, isn’t your national sense of shame under a the greatest threat already? I bet you, the much touted sense of pride and morality is a wash already. It is shocking how the Republic treats certificate forgers with kid gloves. Hey! Chai! Exactly what are we doing? But frankly, no one should under this situation expect any better job. For the true Progressives, faith is already lost in the ability of administration of the Man to make any reasonable effort in restoring sanity in the system. This is owing to two reasons. 1. some of his supporters, perhaps himself included, are moral indictees of fraud and forgery or non-possessing of the basic requirements for what they now enjoy. 2. This is worse than 1 above; the Man’s mortal opposition to the need to reorganize this failing union. Forget those who for whatever reasons refuse to point to these reality – despite their brilliance. The courage and comfort with which the Man opposes #restructuring reeks of arrogance or ignorance or both. I read an address credited to a law prefect – certain Prof *Adeoye and I wonder how he could cohabit comfortably with a man who stand opposed to his rich proposal for moving the Union forward. His note offers a peep into a rich but frustrated mind. A suppressed wisdom got a rare expression in that piece. From transitioning from unrepublic to a true republic to moving from our current vulnerability to true strength; from our mutual mistrust, suspicion to mutual trust and respects? The man has conquered death. The summary of that lengthy address seems to simply say; hey fellas, stop kidding, you’re on the precipice, wake up and build a country! He may have withheld the fact that this geographical expression neither supports diligence nor team spirit and that It has no space for patient pursuit of national good, everyone knows that this place does not support truth in any way. It is currently very crooked. Sadly, the trend is not changing until something really changes. Restructuring is the obviously reasonable proposal. Curtailing certificate forgery will succeed only when there’s no need for it. For now ‘c’est l’objet véritable’ in the misFederations’s power architecture. *Prof Adeoye: the name has been changed. You may request for the said address in the comment box. I Know the real big Folks. By Oshaloto, Joseph Tade. Everywhere across this country is an army of young fine people who are very smart, self motivated, enterprising and leadership-ready. I have a special privilege of running into them both physically and virtually. They are the object of my assurance of a Nigeria that will someday get things right. The sort of hope that our communication leaves on me is why I still retain my ownership of the Nigerian dream. Friends, I restate what I’ve mostly told you about yourselves – that you’re fabulous. I feel blessed to be part of the same demographic as you. The challenges are daunting but our dream is of course the insights we share makes it interesting. When we together to slay kosai and kunuzaki in Akenzua Hall in Zaria or munch okpa and abatcha in Enugu; when we rehearse ENACTUS project reports or when we turn up for job intense job interviews in Lagos, it’s amazing how it’s never lost on us the great tasks we’re up against. The deep forests of the West, the Indo/Chinese factories in Lagos to the Farm center in Kano, the Nigerian enterprise is rocksolid on our minds. We keep on keeping on against all odds. And guess what, we shall breakeven. For real. Our fathers may have handed us a different understanding of success – in which prosperity is individualistic -, our endless discussions and openness to the right concepts have revealed to us a success of a different kind; a success that cuts across. Success that breeds less resentment from others. Success that ensures internet access to the rich as well as the poor, success that ensure quality Healthcare for Bill and Bola. It is heartwarming that a different order of struggles is dawning on this generation – our own generation – in which the difference between Ajah and Ajaokuta will be mere geography and not the non/availability of good roads, hospitals, internet access, electricity supply and responsible Policing. While our dreams and struggles still suffer huge of setbacks from policymakers and those who’re in charge, I believe we’re on the road to creating a world of our own – a 21st century living standard. To the naysayers, this is possible. To the optimistic, this is a worthy cause. In closing, I like to remind everyone that good living standards are a product of good leadership. And as a democracy, we have a rich avenue to entrench good leadership through the POWER of the ballot. There is some break in transmission here.